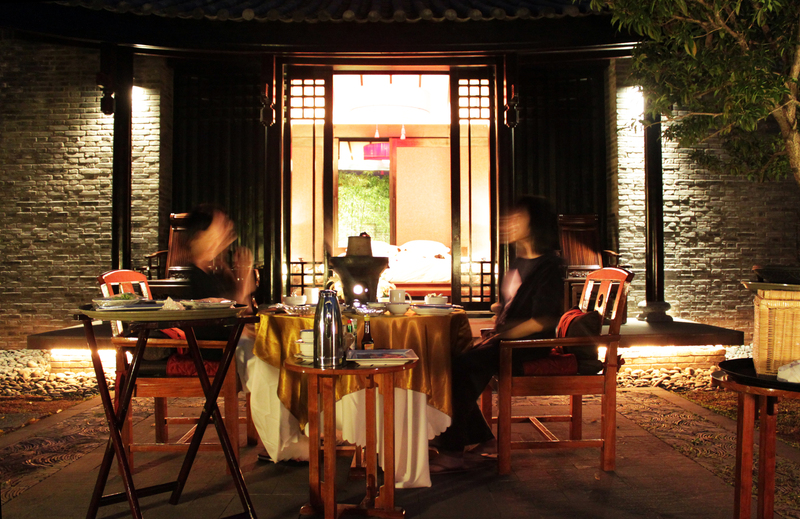 It’s been a long while since my first blog, this time I would like to share my experience at Banyan Tree Lijiang from March 2010 when I visited with my travel buddy Diana. For those of you who don’t know Lijiang, it is in the northwestern part of Yunnan at an altitude of around 2400m above sea level. The air is a little thinner but would be fine for most people. At this altitude, the quality of air can’t get any better, it is SO clean that it would hurt your nostrils if you breathe in too hard. 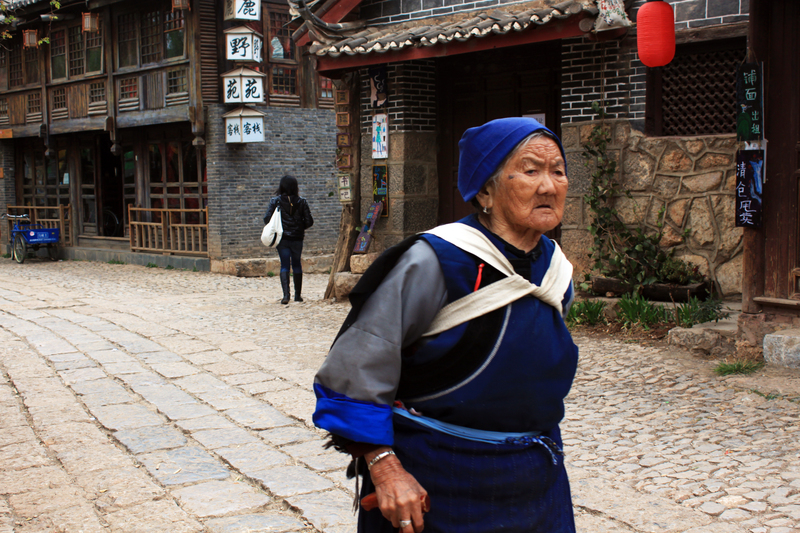 Lijiang is famous for its central old town which is a UNESCO heritage site. The old town was very pretty but like most UNESCO heritage sites in China, it became too commercial after the international recognition. Nonetheless, I think it was still worth visiting due to its unique topography and vernacular architecture. 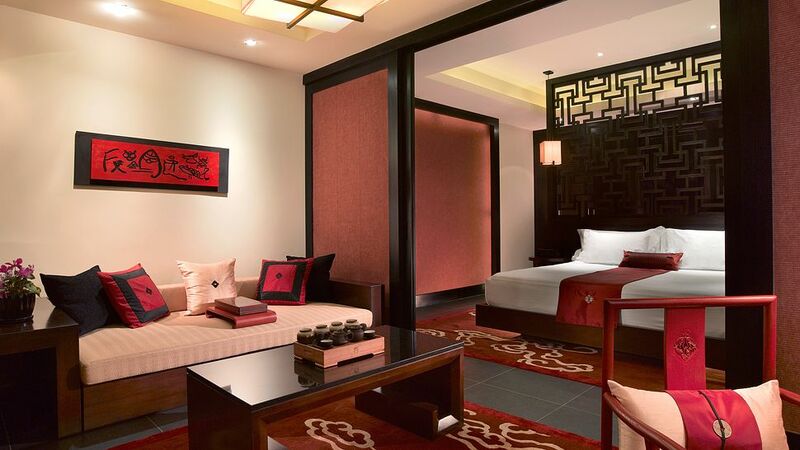 Banyan Tree Lijiang is about an hour away from the airport and half an hour from the Old Town. 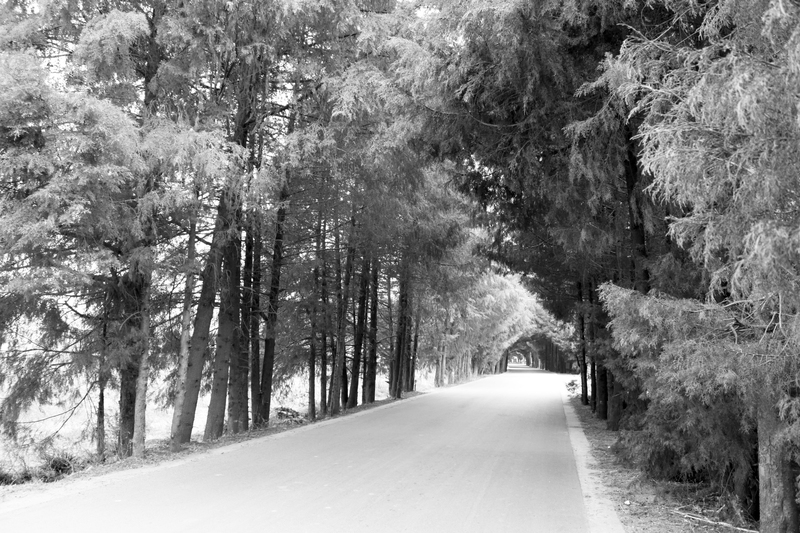 Away from the hustle and bustle, the approach towards the hotel is via a newly built tree-lined road that leads to the central axis of the hotel entrance. After check-in, the bell staff led us pass the entrance courtyard to an open area where we were both startled by the view right in front of us – a grand pagoda with the famous Jade Dragon Snow Mountain (玉龍雪山) as a backdrop. There was something very thoughtful about the layout of the resort – all the rooms were positioned to have clear views towards the Jade Dragon Snow Mountain. This mountain is the symbol of Lijiang with its highest peak at approx. 5600m above sea level. 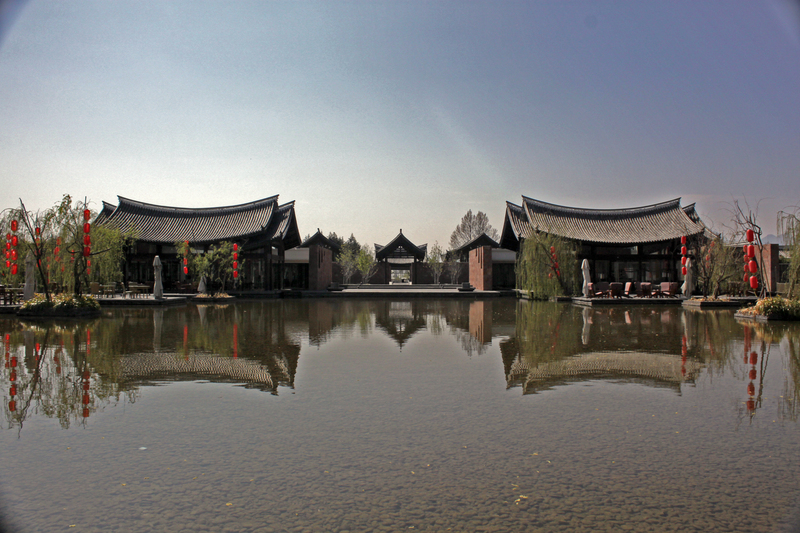 Back in 2010, there were not that many international hotel chains in Lijiang and Banyan Tree was one of the first hotel that took the resort-style approach where all the villas and public amenity buildings were connected by outdoor paths. 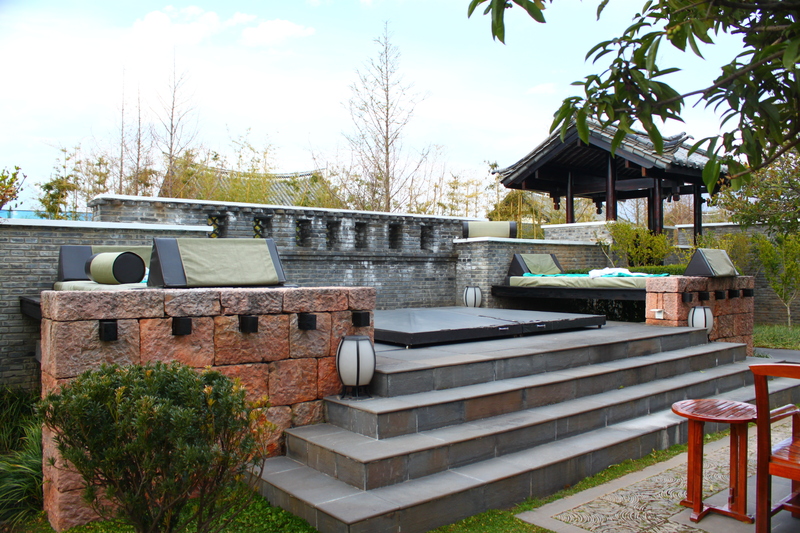 This was a model that made sense in tropical places but turned out to be equally appropriate for a place like Lijiang where the nature has plenty to offer – the air, the magnificent views, the tranquility and serenity. The hotel covers a fairly large area with 124 villas, 2 restaurants, a bar/lounge, spa, gym and a tennis court. We were extremely lucky with the weather, the temperature was perfect in March – short sleeves during the day, light jacket at night and never rained once. We spent quite a lot of time at the reflection pond which the 2 restaurant outlets face onto, admiring the captivating view of the mountain. We stayed in two room types over 4 nights – a Superior Suite (within the Garden Villa) and a Deluxe Pool Villa. The superior suite is laid out in a rectangular shape, split into 2 sections. The entrance to the room is actually in the bedroom section, separated by a screen. The sofa/tv living area is in the 2nd section which has a balcony with the view towards the mountain. 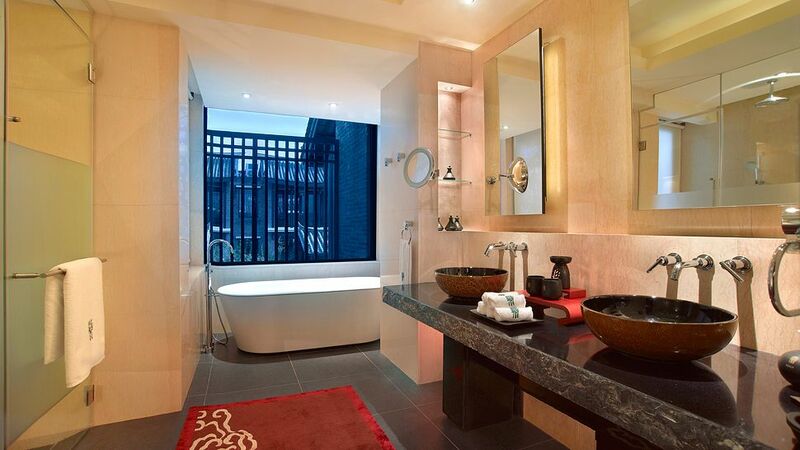 The bathroom is very spacious and luxurious, nothing less you would expect from Banyan Tree. 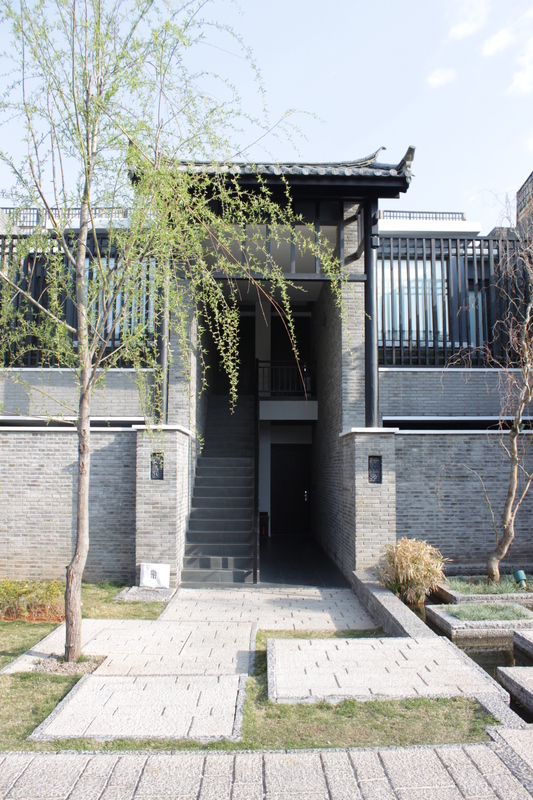 There was a good mix of modern luxury standards with local Naxi influences in its decor. It wasn’t our plan to stay in 2 room types within the hotel. Originally, we wanted to move to Lijiang Old Town and stay at a local guest house for 2 nights to experience something different but our plan backfired. I learned from this trip that 1) Never downgrade from a luxury hotel to a local guesthouse 2) Never stay a night WITHIN the Lijiang Old Town. When I said that the old town was over commercialised, I wasn’t exaggerating – there were streets full of local bars blasting music with coloured disco lights beaming up into the sky. This was terrible news for us staying in a local guesthouse with very thin walls, I could feel the vibration coming from the subwoofers from the bars nearby. It was an interesting experience but we decided to go back to Banyan Tree for some tranquility the night after. So the 2nd room we stayed in was the Deluxe Pool Villa. It was an “I” shaped villa, with the sleeping area in the middle, bathroom and living area on either side. The bed faces onto the pool and has great views of the mountain (You will literally be looking at the mountains once you open your eyes in the morning). 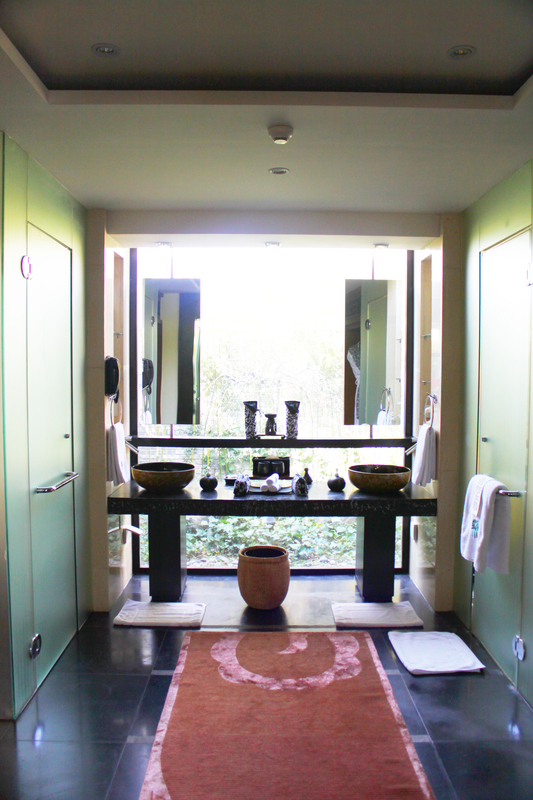 Bathroom was spacious and I loved how they turn the leftover space between the room and the outer wall of the villa into a bamboo garden – it added animation to the bathroom and was calming to look at whilst brushing my teeth. What was a bit disappointing was the size of the pool – it was more like a large hot tub but I guess it is still nice to have it if it gets hot outside. On our last evening, we tried their in-room dining. What we ordered was not a usual item on room service menus and that was…Hotpot! The staff came and set up everything next to the pool, literally right outside our room. 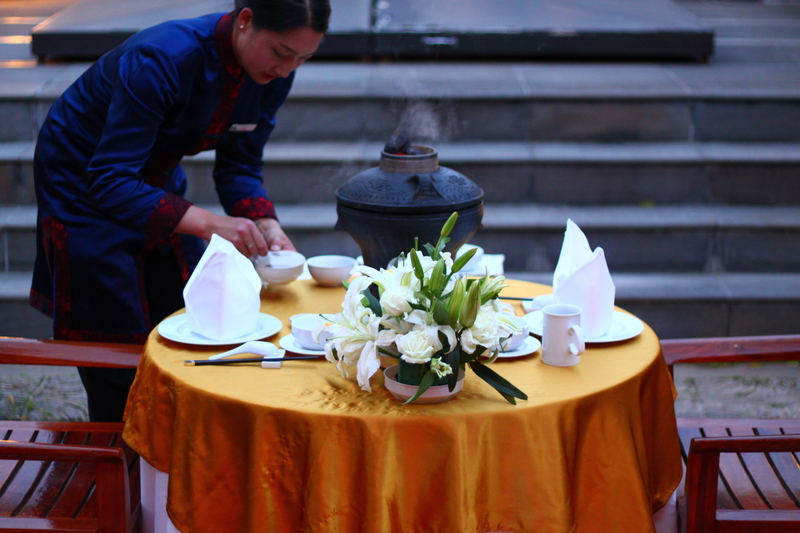 The set up was impressive and the hotpot was presented in a beautiful clay pot which was locally sourced. The weather was also perfect for dining alfresco. Not your usual in-room dining and very fancy set up for hotpot! 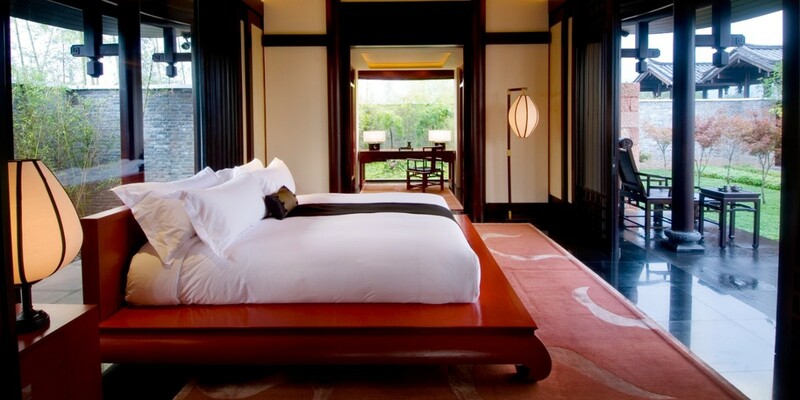 Banyan Tree is known for their amenities from their spa brand. Expect fluffy slippers and an extremely nice vanity bag to take home. 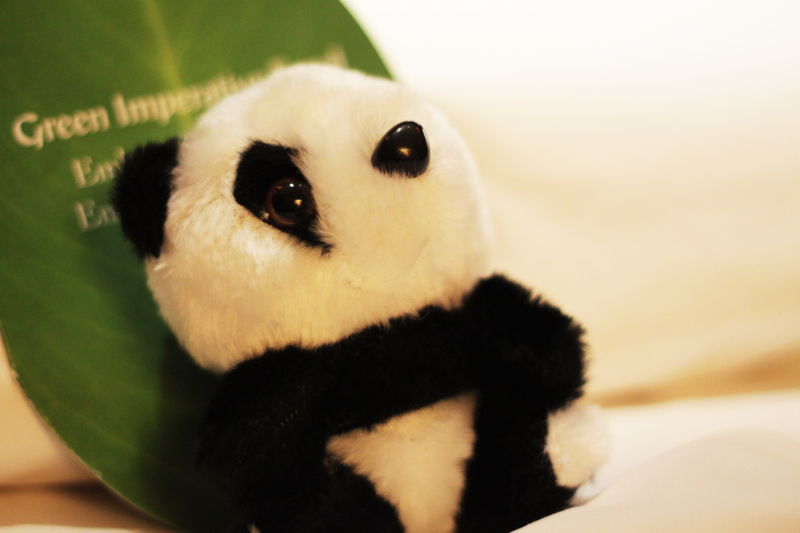 When we were there, they had little panda plush toys by the bedside which was a nice touch. Who can resist not taking them home? Service was good generally as one would expect from Banyan Tree. However, China has a known problem of good hardware and not-so-good software. Lots of staff training required at the time of visit, hopefully their service would have improved tremendously by now. Not far from the hotel about 5-10 minutes walk, there is another quaint old town called ShuHe (束河). ShuHe was also mentioned as an important old town to be preserved by UNESCO however because its size and location, it is a lot less touristy and crowded (which I prefer). There is a nice stream that runs along the sides of streets which make this town very unique. 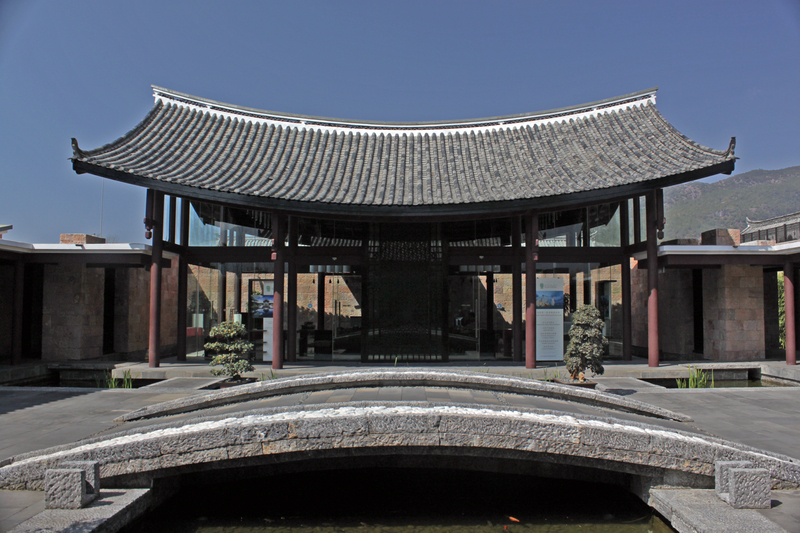 A beautiful place to visit especially if you are into photography – lots of old structures and naxi people to photograph! 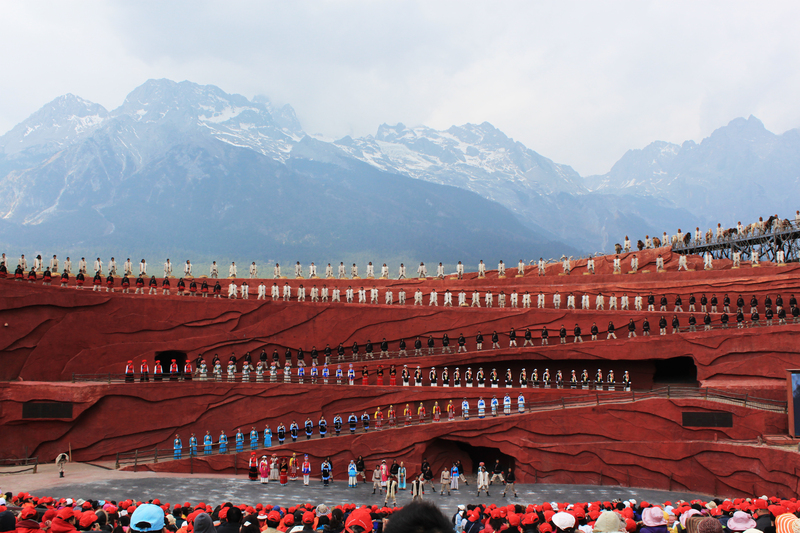 If you’re a fan of theatre, you must also check out the outdoor theatre show Impression Lijiang directed by Zhang Yimou (Director of Crouching Tiger Hidden Dragon). Lijiang is the “mountain” part of his three-part-Impression series – the other two shows are at Hangzhou (Lake) and Guilin (River). I love outdoor theatre because the natural environment lets the spectators become an integral part of the show rather than just an outside viewer. The backdrop of this show was breath-taking, the singing and dancing of the ethnic minority cast was very powerful. Looks extremly enjoyable. Such an amazing hotel! Thanks! 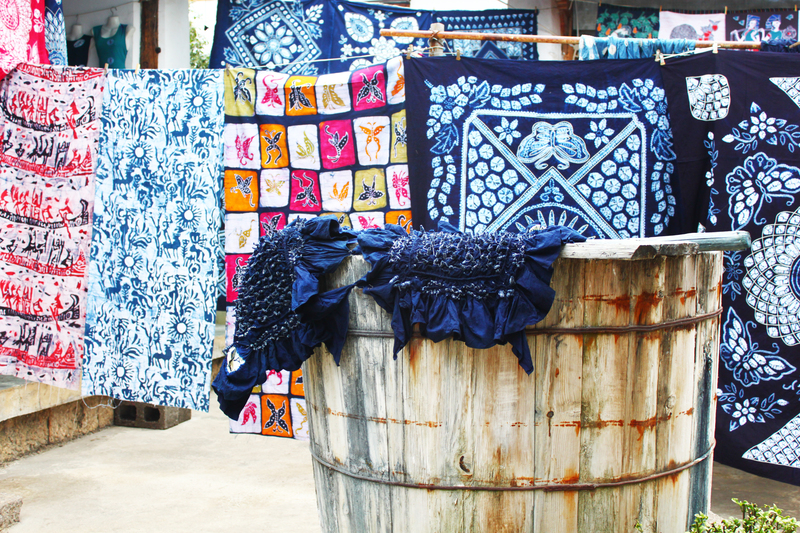 Do visit if you plan a trip to Yunnan!